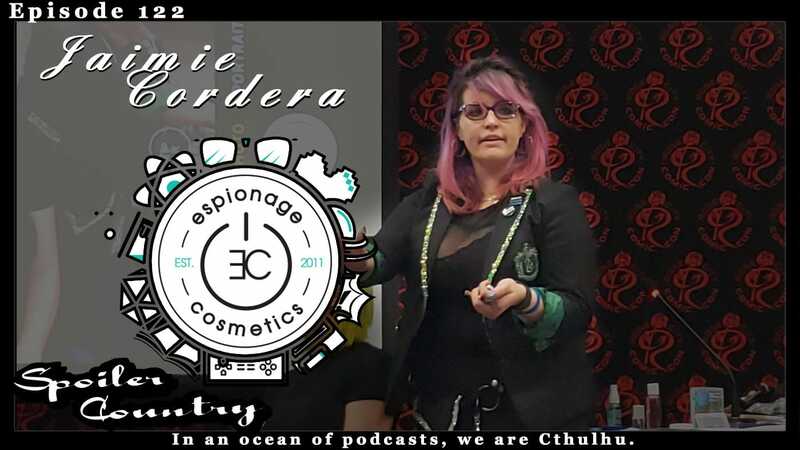 While at Rose City Comic Con down in Portland Oregon this year John and Kaylie got to sit down with Jaimie Coredro, the CEO of Espionage Cosmetics! A locally (to us, as they are in Tacoma, Wa) ran nerd make up company! So even if you are not into make up, this is still a good episode to listen too as we spend most of the time talking about other things. We clearly are professionals who always stay on topic. ← KSB #14! Of Stone! The XII! Revenge of the Fanboys!